"I figured this is a great place to cut my teeth. I thought, here’s where I can test out the model of doing a show with an arc," said Straczynski, who had written for "He-Man and the Masters of the Universe" and "The Real Ghostbusters." "I had an idea for down the road, for a show with a five-year arc to it, where every year was a volume in that story. I thought I would try it on a small scale and see if it would work, and sure enough, it did. It gave me the tools I needed to go on and do 'Babylon 5.' "
Straczynski's scripts may have gotten praise from "Siskel & Ebert," but he was not a big fan of the titling convention. "It was a time when that was the format: You had 'Jayce and the Wheeled Warriors,' 'Captain Power and the Soldiers of the Future,' 'He-Man and the Masters of the Universe.' That was how you tied in the toys," he said. "But if you’re looking for a solid science fiction story, you’re probably not going to tune into a show called 'Captain Power and the Soldiers of the Future' (and vice versa). Eventually, it sorted itself out." 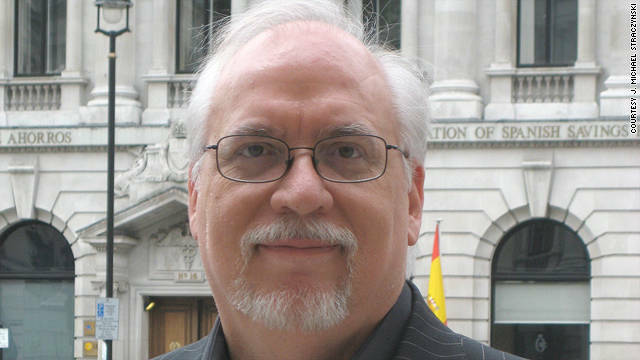 Straczynski's work in science fiction partially comes from a lifelong love of the genre: "I’ve always been a science fiction fan since I had understood the conception of what a story was. "Certainly, I grew up on the classics: (Ray) Bradbury, (Richard) Matheson, (Harlan) Ellison. The great science fiction television shows of the day, 'Twilight Zone,' 'Outer Limits' and so on. When it comes down to it, the reason that science fiction endures is that it is, at its core, an optimistic genre. What it says at the end of the day is that there is a tomorrow, we do go on, we don’t extinguish ourselves and leave the planet to the cockroaches." Sci-fi is the only genre that allows a writer to point to a spot on the horizon and say, "this is where I think we’re going," Straczynski said. It opens a dialogue between creator and audience. Authors can ask their audience, "how do you feel about that? Are you happy about that? If not, do you want to live in this world?" he said. "We are in a tech-heavy society, plunging headlong into an unknown future. Science fiction is what allows you to stand back and analyze the impact of that and put it in context of how it affects people," Straczynski said. Today, Straczynski keeps very busy, having recently received a story credit on the hit movie "Thor" after his run on the comic book series and getting critical praise for 2010's graphic novel "Superman: Earth One." "I just finished 'Superman: Earth One Volume 2' and just finished up a two-movie deal for the Bruckheimer company," he said. "I’ve had five features I worked on produced in four years, so not bad." Straczynski, who had a lot of control over "Babylon 5" without studio interference for much of its run, has often been asked whether he would bring the series back. "I would be foolish not to consider it," he said. "If Warner (Bros. Television) said, 'Here’s x number of dollars and x number of episodes,' yes, I would do it, provided I had the creative control I required." The fact that people remember "Captain Power" almost 25 years later, and "Babylon 5" well over 10 years after it ended, speaks to Straczynski's philosophy: "All you can do is focus on telling the best story you can with compelling characters. If you do it right, it will endure. If you do it wrong, it won’t." Doesnt really seem worth it to me.2 more hours what's the point?A Trilogy, stemohing to look forward to for a few years, a long story THAT I'd go to the cinema for, every 2 years. Oh yes.But whether we get a 2-hour movie or not, ehh.. 2 hours more or less wont make any difference. Hands down favorite B5 was superb. I remember "'Captain Power." It was a TV show you could "play" if you had the tie-in toy. Basically, there was a gun-like spaceship that was capapble of detecting different colorized areas of the screen if you aimed properly and pulled the trigger at the right moment. You could get get points by shooting the bad guys while avoiding their fire. I bought them for my nephews. I wish I still had them. They're a valuable colletible nowadays! Brilliant - if rather insidious - concept for integrating toy marketing into a TV show. Probably couldn't be made today because of increased regulation of such things. Love JMS and his works Babylon 5 is the best sci fi show I have ever watched. I second that, and would add that it is probably the greatest sci-fi show ever! I LOVED that Earth was allied with the bad guys...no squeaky clean "Federation" here! I also loved that they would set up something to pay off YEARS later. (the scenes between Mr. Morden and Vir were CLASSIC!) There were many episodes that had the hair on the back of my neck standing straight up...such as in "Fall of Night" when the tense standoff between B5 and a Centauri cruiser came to an unexpected end! Great stuff...and a have yet to see ANY show in ANY genre match the storytelling that JMS gave us with Babylon 5. If anyone out there has yet to watch it....dont wait, go watch NOW! There are some bad episodes, as there are in any series, but if you watch the whole series, you will be glad you did! B5 is probably one of the best SF shows of all time, hands down. I watched maybe four or five first season episodes and wasn't impressed. The original lead was a terrible actor, and the early digital effects pretty unconvincing. Perhaps it got better in later years, but nothing pulled me in enough to return. Is it on Neflix (apparently the official home of old TV shows now)? Maybe I'll give it another chance. Yup, it's on streaming. It's a show that gets better the further you get into it. Babylon 5 is on Netflix and i promise you that if you suffer through the sub par 1st season it will pay off immensely by the time you're done with the 4th and then the 5th is just icing on the cake. JMS is the man!!!! Loved just about everything he's done. Especially his work in comics!! Keep up the awesome work. Look forward to everything you do.